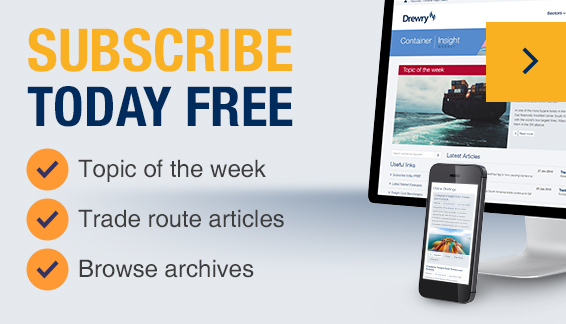 As a global leader in protection solutions seeking to transition from NVOCCs to direct ocean carrier contracts, Ansell selected Drewry’s e-Sourcing Ocean Freight Solution (eSOFS™) to manage its ocean freight procurement event and advise on the direct carrier transition. “Best possible service at the lowest possible cost”. We measured the impact of potential scenarios and final decisions. Finals and awards resulted in reduced costs of about 13% when comparing the final round to round 1. The process from planning to award of contracts took 3 months, as planned. Direct carrier contracts were secured. Risk mitigation measures were implemented. For the 2 major tradelanes, a market advantage of 9% and 16% were secured for the customer. "Drewry’s advisory team brought professionalism and invaluable insight to all stages of the RFI and RFQ process, from managing the global tender and liaising with bidders to scenario analytics and inter-party communication and co-ordination. Our team was impressed by both the team appointed and the solution presented - and very satisfied with the results achieved. I would be happy to recommend Drewry to other companies."